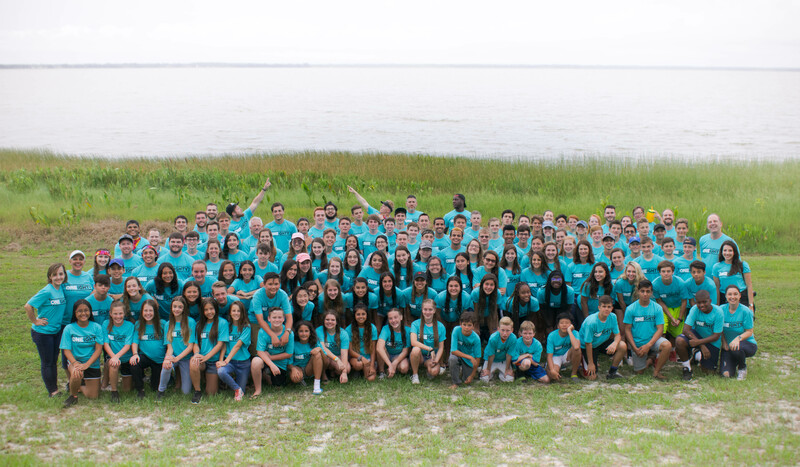 Registration is now open for Summer Camp 2019. This event is open to all students who have completed grades 6-12. Camp is June 10-14 at Lake Yale Retreat Center. For any questions please contact Patrick Howell at phowell@fbcweston.org. LAST DAY TO REGISTER IS JUNE 4th! Every Sunday morning our 6th-12th grade students gather at 9:30 AM to hang out and participate in our Gospel Project® bible studies. The Gospel Project® is a chronological, Christ-centered Bible study for Kids, Students, and Adults that examines how all Scripture gives testimony to Jesus Christ. Each week the snack bar opens at 5:30 PM in the Student Center. We begin our time of worship and teaching time at 6:30 PM. The mission of Merge Ministry is to partner with parents as we help 6th graders make the change from thinking and acting as a child in regard to their faith to developing a faith in Christ that is their own by equipping them for the transition from Children’s Ministry to Student Ministry. 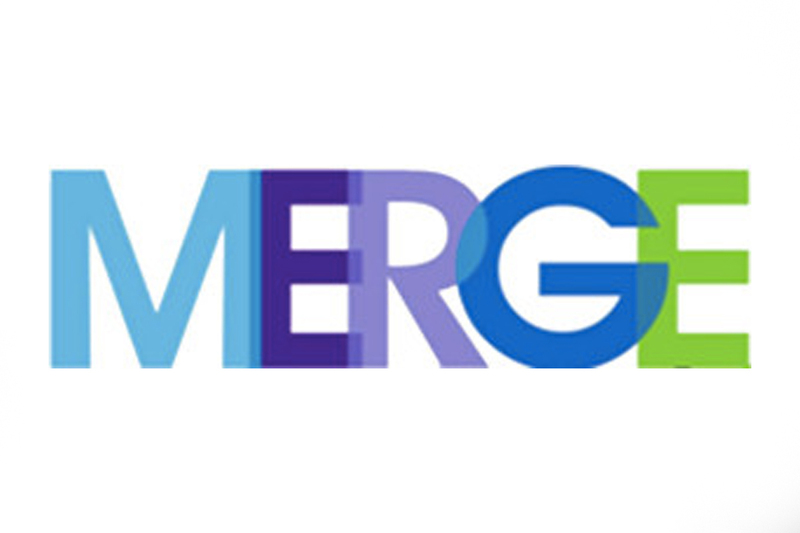 Merge is geared specifically for 6th grade students as they transition into a middle school environment. 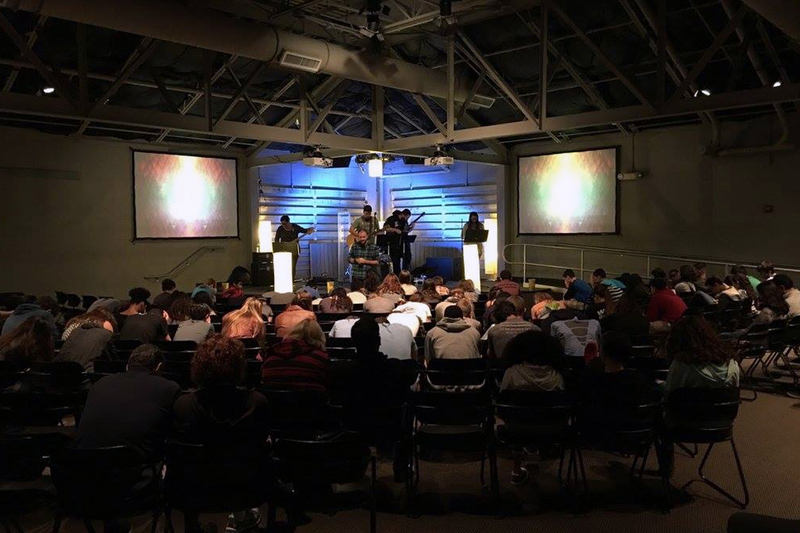 Merge students enjoy small group Bible study, challenging Biblical teachings and worship to bring God’s Word to life. 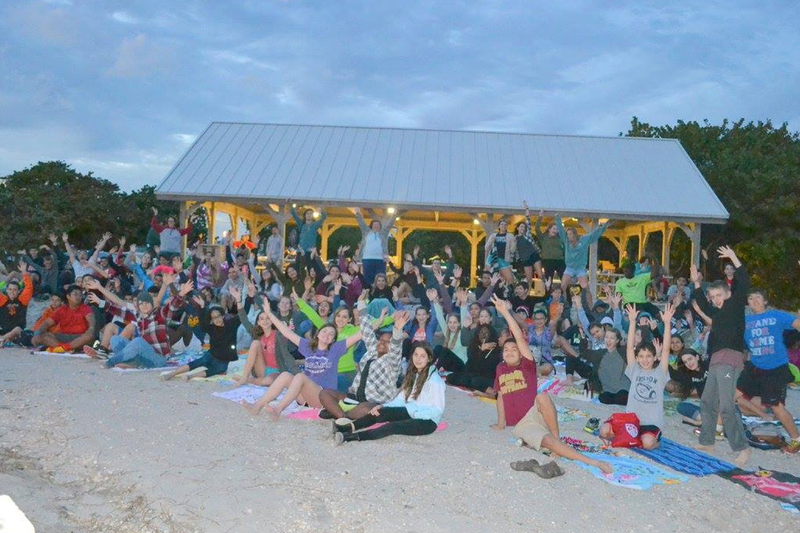 Each year the Fusion Student Ministry take all of our students on a special winter retreat and summer camp. 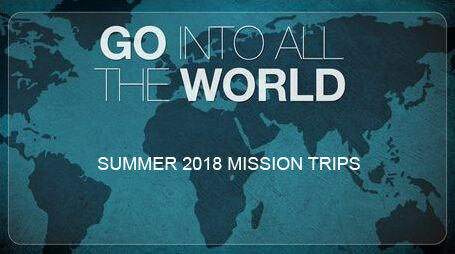 These trips engage our students with the gospel and challenge them in their walk with Christ in fun and memorable ways. For the most up to date information on Fusion Student Ministry download the app! Our app features a library of past Wednesday night sermons, event photos, and much more. 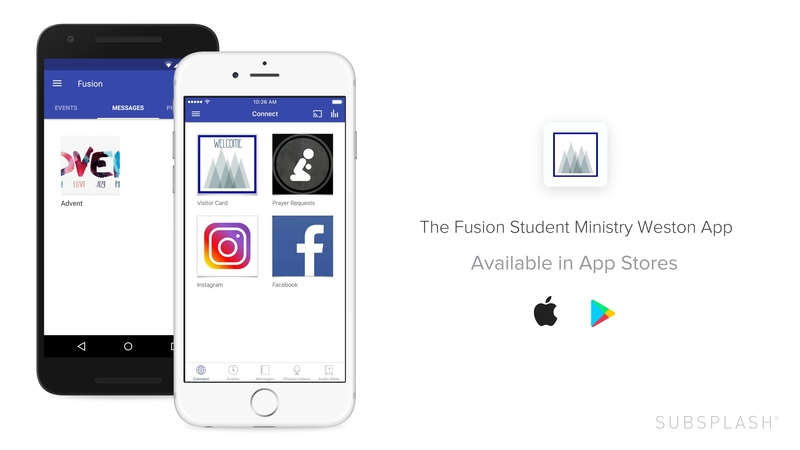 Go to the app store or Google Play store and search “Fusion Student Ministry Weston” and allow notifications.